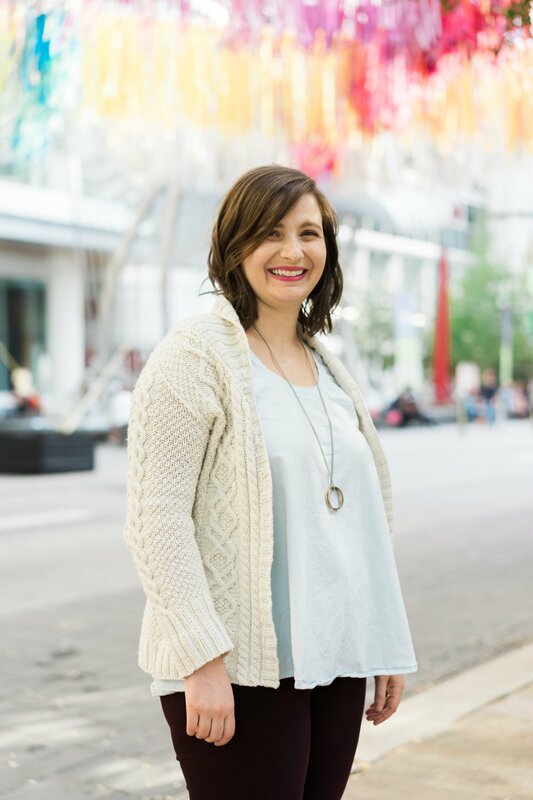 The cabled shawl collar cardigan is a knitting classic - there are 600 patterns currently on Ravelry that meet those criteria. The moment I saw Macoun, I knew that it was my cabled shawl collar cardigan. The silhouette and the shapes of the cables and everything were simply perfect. It was a beautifully written pattern, but I did make a few modifications. I have short arms and I prefer bracelet length sleeves, so I removed 2.5" of length from the sleeves. I cast on the the sleeves the size up so that the sleeves were the correct circumference at my wrist, and then did fewer decreases so I got to the correct stitch count for my size by the sleeve cap. I knit a size 38 for everything except the shoulders, where I decreased down to the width for the next smaller size, 36. As you can see in the picture above, it doesn't solve the problem that I often have of sleeves hanging too low on my shoulder. It's something I need to experiment with more on my cardigans. Finally, I added 3 additional waist decreases on the back (and compensated the increases to put the stitches back). By the time I cast off and blocked the back I realized it was a mistake, and knit the fronts as written. It would definitely be better with the original amount of waist ease. While there are ways I can be picky about fit, I love this garment. As expected, I wear this cardigan all the time. 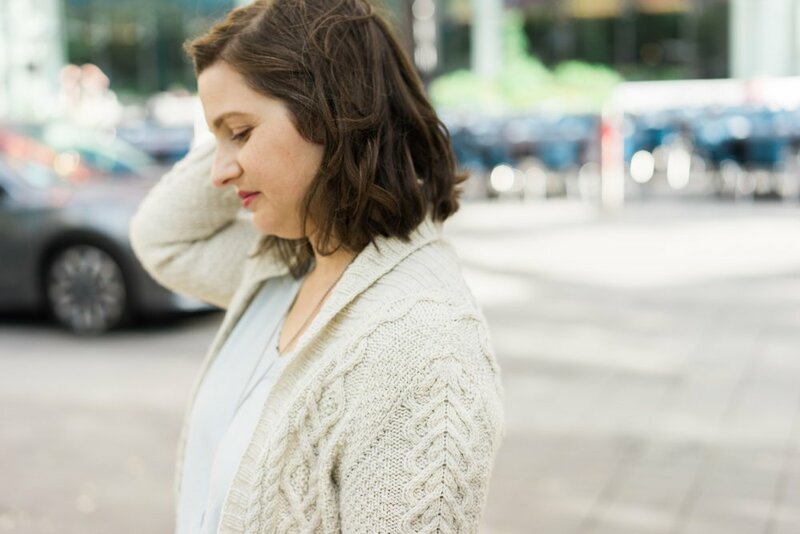 It is the perfect cardigan to toss on for a chilly morning in my office, or throw on top of nearly anything in my wardrobe. 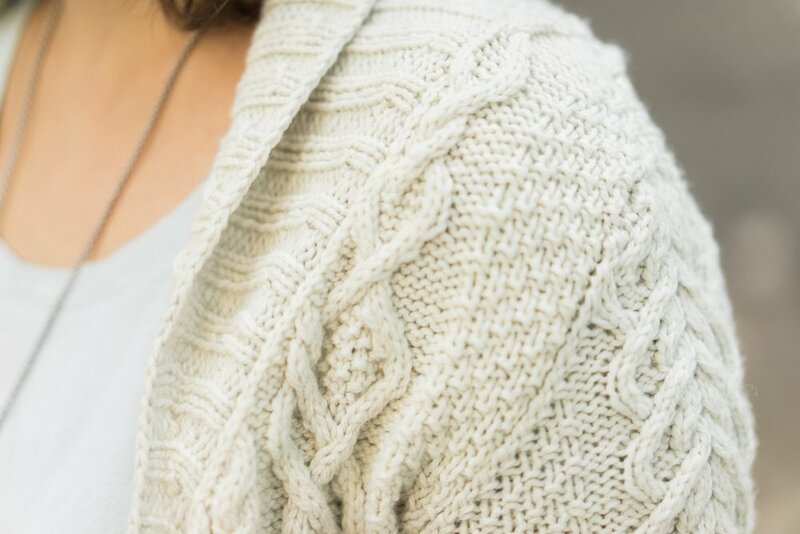 I tend to wear it open, it's how I prefer to style my cardigans, and I love that it looks great that way. Have you ever seen a pattern and known it was exactly the one for you? Did your love at first sight last? Let me know!